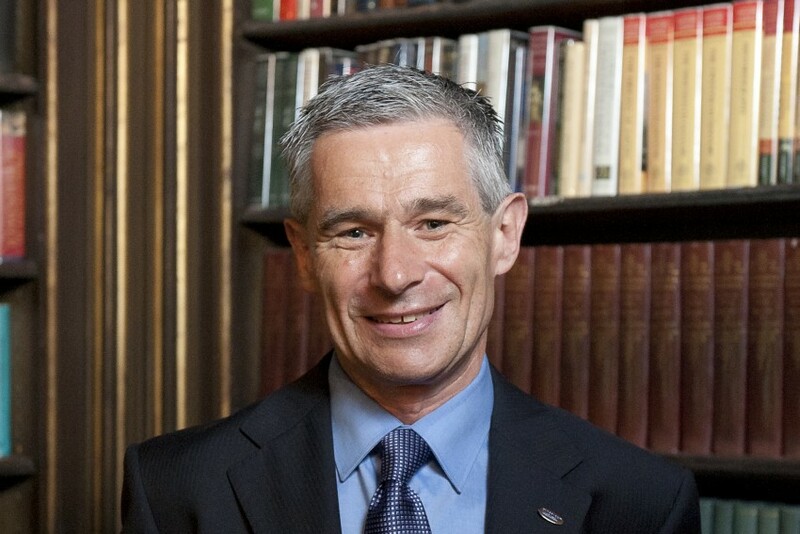 Ulster University has a uniquely important role to play in building a better Northern Ireland, a prosperous, inclusive, self-reliant and confident Northern Ireland with much to offer the wider world. Why not read one of our donor newsletters, which showcase the impact your donations make to University life. We continue to excel in widening access to education, teaching and learning, and ground-breaking research. 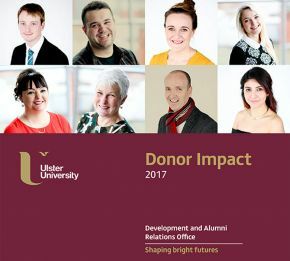 The Development and Alumni Relations Office (DARO) is at the heart of Ulster’s engagement with alumni, donors and friends of the University, helping to maintain and develop strong and lasting relationships. 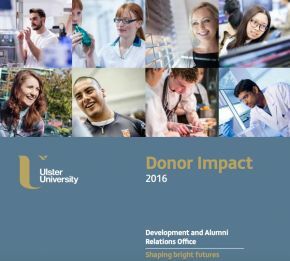 To help further the development and growth of Ulster University, DARO seeks philanthropic support from both alumni and friends of the University for a range of strategic developments and projects where the need is greatest. 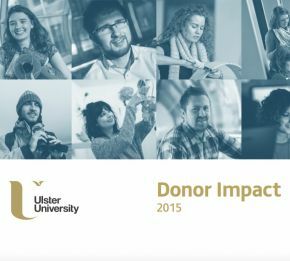 Donations to Ulster University make a real difference across all four campuses, helping Ulster’s people, places and programmes. By donating you are investing in and empowering our students. They will be the leaders, role models, artists, scientists, entrepreneurs and decision-makers of tomorrow. By donating you are helping us invest in our campuses and buildings; named lecture halls and rooms will carry your mark and enhance the status of the University. By giving to new programmes you can be associated with life-saving, innovative and ground-breaking initiatives. You will be ensuring that Ulster continues to compete at the highest level internationally. 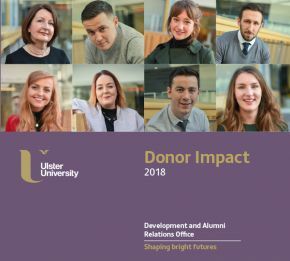 The Development and Alumni Relations Office works with supporters to develop bespoke ways to support the many different areas of Ulster University's work. Sarah Clarke summarises the impact support from the Student Fund had on a group of engineering students at Ulster University. Jonathan Burnside, Fencer and student, describes the importance of the Sports Scholarship from the Student Fund on his success in fencing. 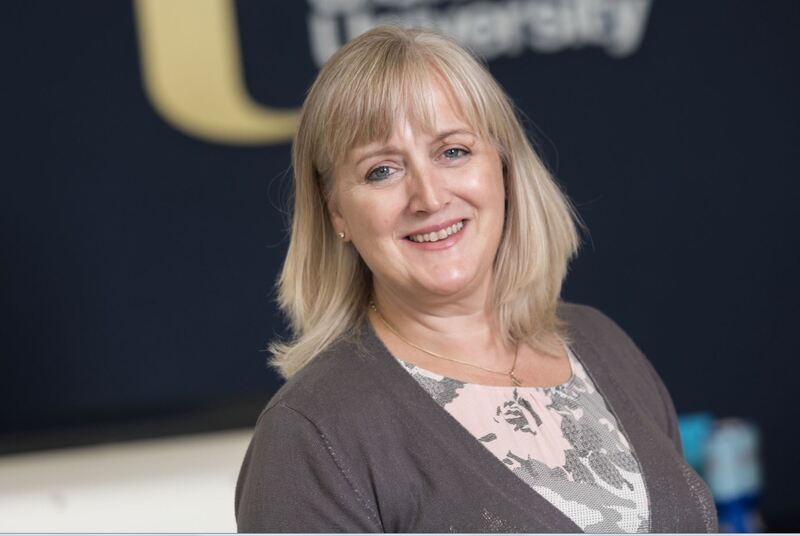 “There is always an example in giving and with education costs mounting it is very meaningful to give a helping hand, especially to those who face challenges"
"I give a little each month hoping that collectively we can make a difference to our students at Ulster. Financial hardship causes stress, distracting students, sapping motivation and dampening their creativity, making it harder to focus on the academic aspects of University life. I'm delighted to help."